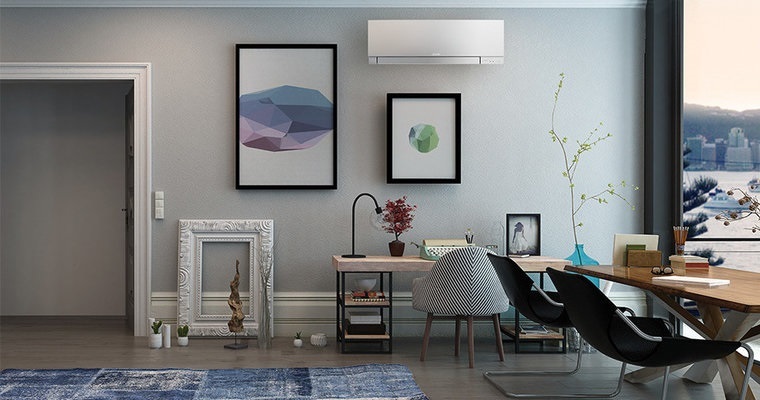 Mitsubishi Electric heat pumps can connect to a range of accessories and controllers that offer superior personalisation features. From simple wall controllers to web accessible systems, Mitsubishi Electric accessories and controllers are designed to increase your heat pump potential. The variety of Mitshubishi Electric accessories and controllers all come with a unique set of features. Depending on the level of control you wish to have, the capabilities of each controller ranges from simple to technical and everywhere in between. Mitsubishi Electric also have a wide range of accessories, adaptors, sensors and power packs that can be installed along with your chosen model to enhance its features even further. From basic cleaning kits to advanced i-see sensors, Mitsubishi Electric accessories can take your heat pump and air conditioning to a whole new level. Whether you’re after a basic-style controller or something a little more advanced, the range of Mitsubishi Electric Controllers is vast. 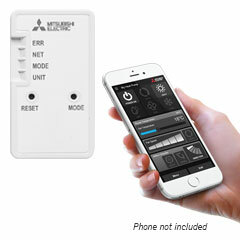 However all Mitsubishi Electric Controllers have something in common: they’re very easy to use. Simple or deluxe wall controllers are perfect for installation in spaces such as hotels and rest homes where limited selection is required. These controllers are limited to ON/OFF, temperature, fan speed, mode and vane to ensure very straight-forward usage. The LCD screen controllers are a step up from wall controllers, however they still offer limited button selection for ease of use. Backlit with an LCD screen, these controllers have classic capabilities with the addition of programming features. Mitsubishi Electric have now modernised wall controls to include touch-screen operation. Touch controllers are backlit with an LCD screen and have the potential to control up to 50 heat pumps within the single system. This makes them ideal for small commercial operations. The touch controllers are also able to be programmed to control additional equipment such as ventilation systems and outdoor security lighting. Control temperature, fan speed and air flow on this state of the art 9” LCD colour touch screen. The Centralised and Web Controller is the perfect system management tool for commercial and residential application and allows you to programme up to 150 heat pumps as well as various automation systems such as garage doors, lighting and ventilation systems. Accessible online, comfort will always be at your fingertips.